In situ restoration of plasterwork window arch at Grade 1 listed Stonyhurst College, LancashireWilliam Wilson Architectural Mouldings Ltd have skilled and experienced craftsmen who can undertake traditional in situ plasterwork restoration and renovation, including lime plasterwork where required. Although far less common these days, due to its expense and capacity for mess, in situ repairs are sometimes the best solution. This is particularly true for historic plasterwork which was created using in situ methods in the first place. We treat each client as individual and when evaluating your property, we will advise on the best solution for your property and budget. For examples of our In Situ Plasterwork Repairs work, please take a look at the Photo Gallery page. 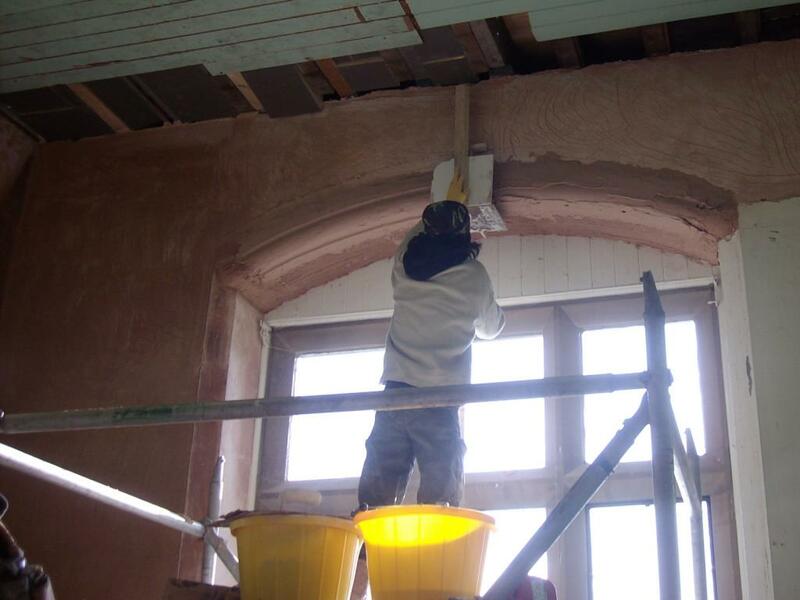 We can supply, fit and restore in situ plasterwork repairs to homes, businesses and historic buildings in: Accrington, Barrow, Blackburn, Blackpool, Bolton, Burnley, Bury, Carlisle, Chester, Chorley, Cumbria, Fleetwood, Garstang, Kendal, Lancaster, Leyland, Lytham St Annes, Morecambe, Oldham, Poulton-le-Fylde, Preston, Skelmersdale, Southport, Thornton-Cleveleys, Ulverston, Warrington, Widnes, Wigan, Wilmslow, Windermere, Wirral, and more!